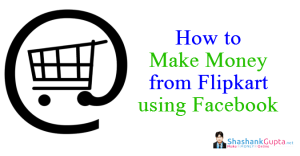 I have already shared with you in detail how I made Rs 50,000 in a month from Amazon Affiliate Program and how I earned Rs 25,000 from Flipkart Affiliate Program. Amazon and Flipkart are two of the most popular eCommerce programs in India, and if you have yet not worked with either of them, do so now. Read up my post, shoot me your questions and get going. 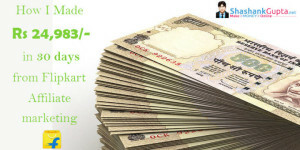 That said, today in this post I will be taking you through step by step process of how you can easily make money from Snapdeal's affiliate program. Snapdeal is not the largest player in E commerce market-space, but it is a decent size one. And it sure makes sense for you to take a share of its market pie by joining in its affiliate program. I have made Rs 7,660 in a month from Snapdeal Affiliate Program, shared below is the screenshot of my Snapdeal affiliate income as a proof for you. Yes the figure doesn't look large when compared to Flipkart or Amazon, and that's simply because Snapdeal is not as large player as Amazon. However I would still strongly recommend you to join its affiliate program, because it is bringing in new capital and seeking to expand itself. Important Terms and condition for Snapdeal Affiliate Success. Snapdeal is among the leading ecommerce online shopping websites in India, it was started as a daily deal site in 2010 but soon become a full online marketplace. Ratan Tata, SoftBank Corp, Alibaba Group are some of its investors. To build trust in customers mind Snapdeal brought Amir Khan for the promotion of Snapdeal in March 2015. Snapdeal affiliate program is a referral program where you can earn money by promoting Snapdeal’s products on your website/blog. You need to place Snapdeal's links on your website/blog, and promote the same. once somebody click on your link, and visits the site; and also makes a purchase on that visit, then you earn commission as a % of the sales value. The commission % varies for different category of goods and you can check the same on Snapdeal's website. Best part is that if a viewer clicks on your Snapdeal product link, and then purchases a different product ( one which you were not recommending) still you will earn commission on the sale. For Snapdeal its important that you generated sale for them, its immaterial as to what item is sold. So long as sale is generated you will be rewarded for your efforts. Becoming Snapdeal's affiliate is very simple process. I have mentioned below step by step process for you to follow. Click on Join Now Button shown in above image. 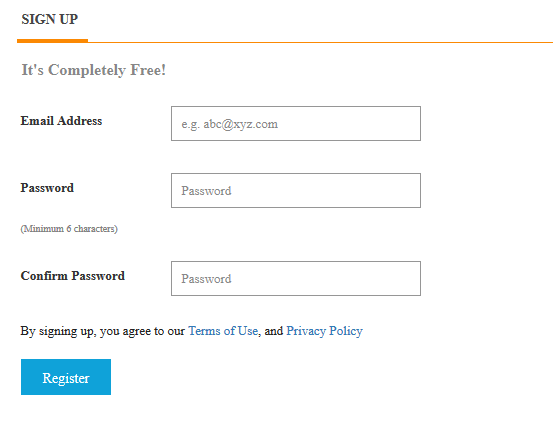 Once you click on Join now, you will get a form asking for email and password as shown in below image. Kindly fill your details in it and click on Register. Once you click on Register you, your snapdeal affiliate hub account is created, now you need to open your email account and check the email which you have received from Snapdeal, below is the screenshot for the mail which I received. 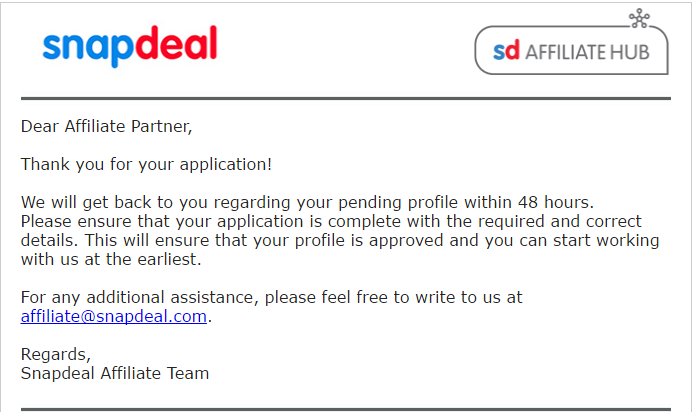 As you can see the above email, Snapdeal affiliate team will reply to your application within 48 Hours but we need to make sure we have filled all the information required in the snapdeal affiliate Hub, so lets get back to the affiliate hub. In the step 3, once you click on Register button you will be taken to the new page where Snapdeal affiliate will ask for some more information. You will be asked to fill your personal details, your bank details for payment, it also ask to upload your PAN card and cancelled cheque. These details are required to receive payment from Snapdeal, so make sure you double check them for accuracy after entering them. Not to forget your affiliate website information, here you need to provide the website url on which you plan to promote Snapdeal products, type of website and your monthly visitors estimate. Once you fill all the details click on save changes. You can see the below screenshot for the same. Now you need to wait till Snapdeal affiliate team approves your application. Once you application is approved you can start promoting its products on your website or blog and make money from Snapdeal affiliate. How to create Snapdeal Affiliate Link? 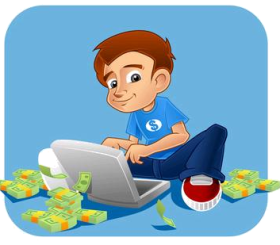 Once you login in your affiliate account, on home tab you will find above two options using which you can generate affiliate link. Option 1 – You can search any specific product and generate affiliate link for it. For example, I have a blog related to health niche and I want to promote whey protein product in it. 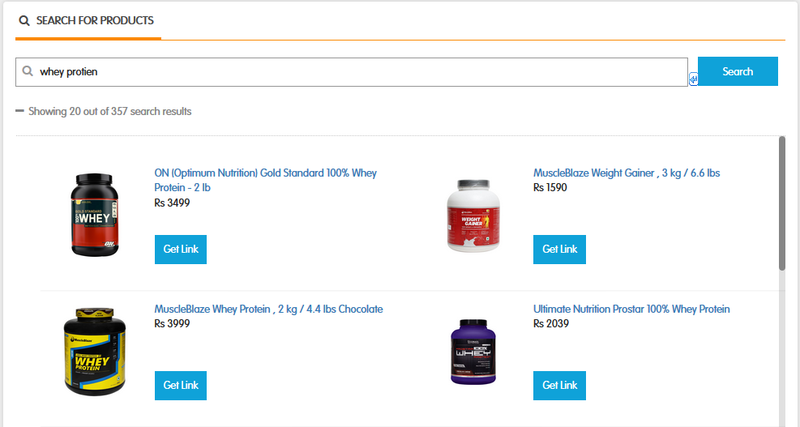 Hence I can generate affiliate code by searching various whey protein products and choose the one which I like as shown below. Option 2 – In this option, if I already selected the product from Snapdeal site which I want to promote, I can just paste that link in shown box and click on generate to create my affiliate link. You can see below image for the same. Your earning can differ based on which product you plan to promote. Like I mentioned before that commission % varies from product category to category. In some products like apparel it offers higher commission %, whereas in some other categories it offers lesser. You can check this link to get latest commission rates for affiliates. To know more about how you can create your own blog/website and promote it to earn affiliate commission, check my ‘How to Make your own blog' series, it has loads of information and tips for beginners and experts alike. Caution – Making below 5 mistakes will get your Snapdeal Affiliate account Suspended. Advertising through Pop-up/Pup under windows is strictly prohibited. Pop-ups are a lucrative way of gaining business, so most rookies are bound to try this technique, but Snapdeal prohibits its use. So stay away from all pop’s. If you have a mailing list, sending out Snapdeal’s offers to them sounds very tempting, right; but DO NOT do so. Snapdeal clearly mentions that bulk mailers are no go and you are not allowed to send them to promote your affiliate link. 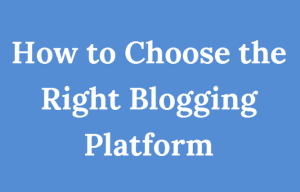 Paid Ads, yes you can use them to promote your website or blog. But do so with caution. You are NOT ALLOWED to bid on trademark of Snapdeal, or any variations and misspelling of it. This means you can run ads to promote your blog/website with any keywords you wish, except keywords like ‘Snapdeal’ or those related to it, like ‘Snapdeal offers’, ‘Snapedeal’ etc. Being a Snapdeal affiliate you might be tempted to create a website or social media username or group name using Snapdeal in it. For example username: Snapdeal_affilaite or website name snapdealoffer.com etc. STOP. You are not allowed to do so. You cannot use Snapdeal’s name in any website, blog, username, group name etc. This is strictly PROHIBITED. You are not allowed to promote your link on illegal audio/video download site. For this purpose, it’s important to understand, that providing downloads of movie and songs on your website, without the permission of the producer/concerned parties is considered illegal. So if you run a torrent website or similar, bid adieu to your Snapdeal affiliate links. Not reading the fine print is a common mistake made by most online players, which results in them being unaware of the rules and assuming things which results in mistakes on their part, and eventual banning of the affiliate account. So READ UP. 15 min spent reading will save you days of agony later on.